Bring in a Top Female CEO Speaker for your women in business association, group, or organization. 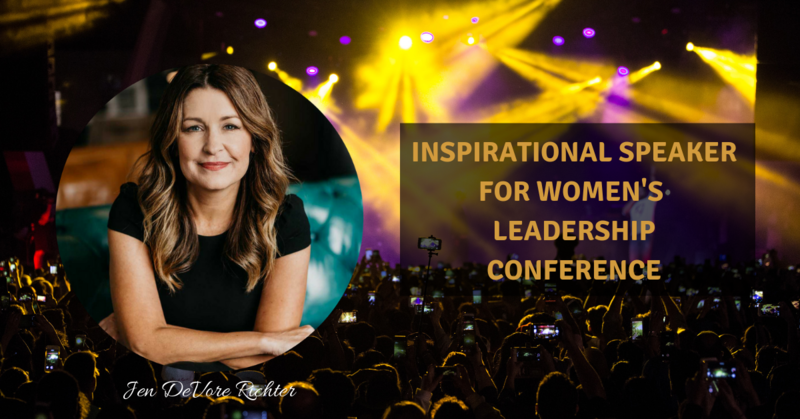 Now more than ever, women are embracing the boss woman in themselves and are searching for inspiring and empowering top female CEO speakers to ignite their training events and programs. Jen DeVore Richter, CEO & Founder of Boss Women Rock™ delivers on this promise. The mantra “I can do ALL things” is a powerful message women in business need to hear backed by actionable insights they can use immediately to improve their odds of success, elevate their confidence, and reignite their spirit. 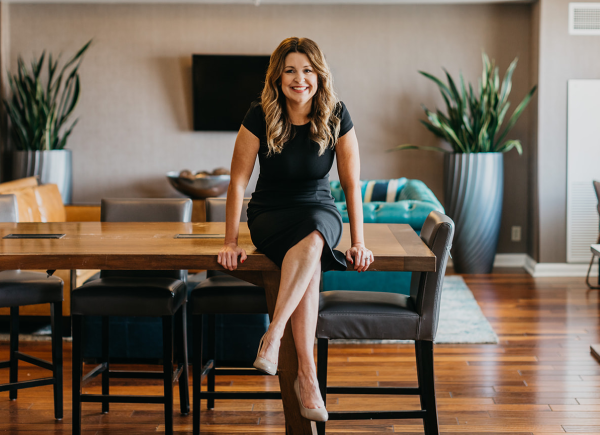 Jen is an energetic and fun speaker for company’s that value female executives and recognize that businesses with women in decision making roles also are more productive and profitable. She infuses storytelling, humor, actionable insights, and inspiration to deliver the message. I’m leading a women’s business revolution called Boss Women Rock™. We don’t rely on the status quo to achieve our dreams, and we don’t even have goals to go build typical versions of success either. In fact, our motivation is the exact opposite. We have a message that we KNOW can change people’s lives. Because we’re fighting against the bad information we’ve been told, and sold an impossible story about what it means to be a business owner, we have to do things differently. We have to do things smarter. We don’t have backup plans. Every step we take is with our own risk and out of a comfort zone. We have to be all-in from day number one. So how do we do that? How is that even possible? If you asked the suits on Fifth Avenue or Wall Street, they’d tell you that what we’re doing can’t be done. They’d say it’s impossible to make money and make a difference. Yet it’s happening, every single day by regular women like you and me. It’s happening through the art and science that we call Attraction Marketing. We are Boss Women Rock and our time is now! To inquire about your upcoming date and check Jen’s availability, please call (904) 382-7255 or reach out via the Contact Form. Planning an inspiring and empowering women’s leadership conference? 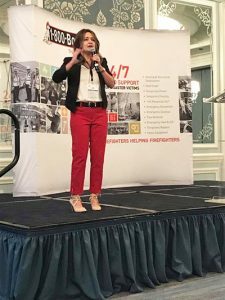 Searching for a speaker that will excite and engage your participants and leave them feeling energized and ready to take action? Audiences and planners agree that Jen DeVore Richter delivers! Want to speak to Jen about your event and check availability? Please call (904) 382-7255. Have you ever attended a Women’s Expo event and from the moment you walked in the door you immediately felt like you were home? That’s how I felt on Saturday, March 16, 2019 walking through the doors at the University of North Florida for the Women’s Expo – Blaze Your Trail event. 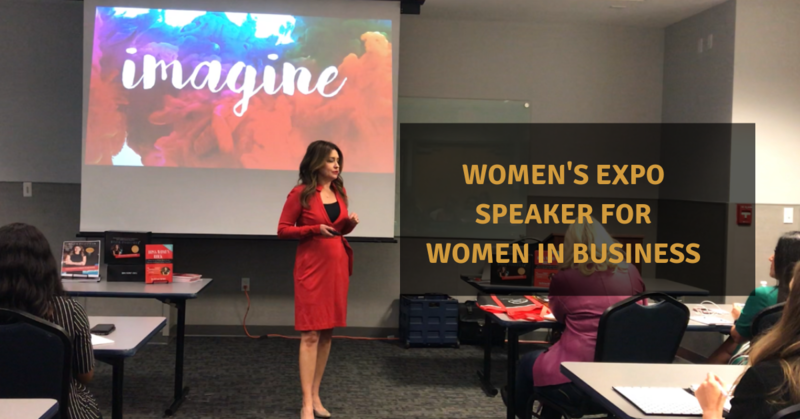 I was honored to present one of my signature programs for women business owners, Powered by Profit: the 5 Key Areas of Business You Must Master during one of the more than 24 breakout sessions. I am so grateful for the support from the entrepreneurs that have supported my message of fluff-free empowerment for women in business. If you were unable to attend the session, you can download a free 17-page PDF for Rising Influencers and see Jen’s exact process that has been featured in The Six-Figure Coach magazine and Dan Kennedy’s infamous NO BS Marketing Newsletter. Forget the tired concept of chasing after clients one at a time only to face rejection after rejection–there is no need to keep doing what doesn’t work especially when the alternative is so much more fun and lucrative. Whether your dream is to grow your business, sell more products, or both this session has the answers. Where to start even if you don’t yet have a big social media following, email list, or best selling book. How to share your story in a way that is relatable, exciting, and moves people to action without feeling braggadocious. How to build your primary business offer for maximum profitability and impact while getting paid your worth. Which systems and resources make this process a ton more fun and a whole lot easier without breaking the bank. Powered by Profit aligns with Women’s Expo Events who need a women in business speaker because women in business need to first carve out our place in an overcrowded market and then have a plan in place for making money that doesn’t make us dependent on cold calling to ask for bookings. Powered by Profit is transformational because Jen shows participants the exact process for creating a community of loyal fans making the sales process much easier and faster. With a community of true believers supporting your business, you become a highly trusted leader and influencer. 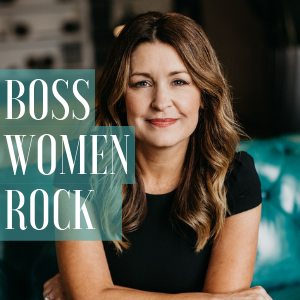 Jen created her own movement for women in business called Boss Women Rock™ which has been instrumental in helping her successfully sell with ease her membership program, group coaching, private consulting, books, and products. 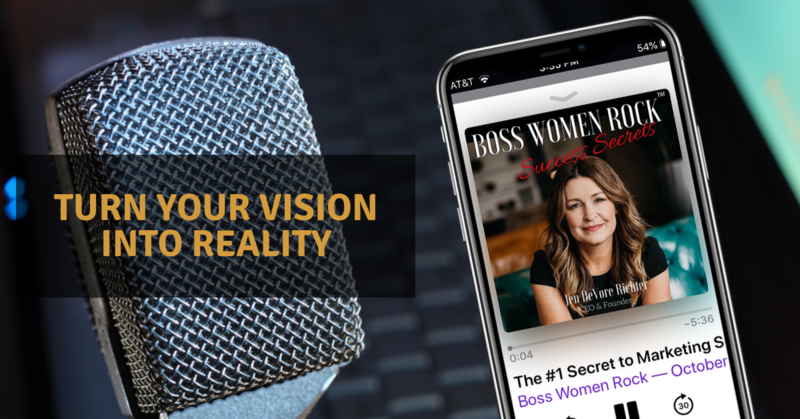 Boss Women Rock is now a magazine, podcast, and has been featured on TV and radio. In addition, Jen hosts her own events and webinars at least twice per month as her primary monetization strategy and paid keynotes are the cherry on top. An action the participants can take on day one after Powered by Profit is to uncover the hidden revenue opportunities in their business. Looking for a transformational women’s business speaker for your expo or conference? Inquire about Jen’s availability by calling (904) 328-7255 or using the Contact Form. 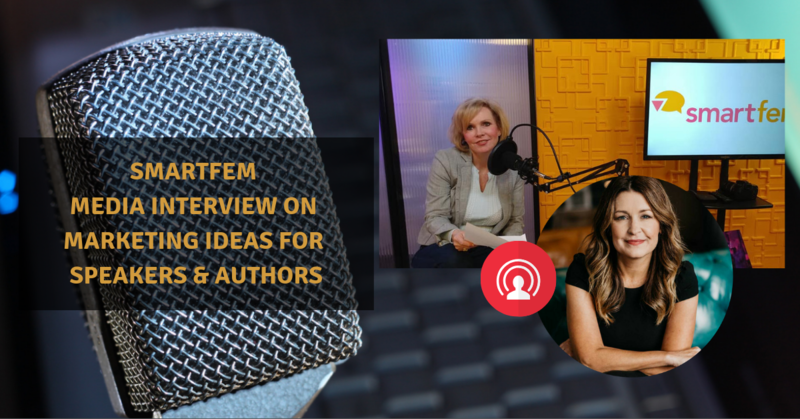 Lea Woodford, host of the TV show SmartFem Presents (available on Amazon Prime) and organizer of the SmartFem Summit recently interviewed Jen DeVore Richter from the SmartFem Media TV studios on their Facebook channel. Lea and Jen shared marketing and business growth challenges and ideas that are unique to speakers and authors as well as women. Jen will be the opening keynote speaker at the SmartFem Summit in Scottsdale, AZ April 25 & 26th, 2019. Whether your dream is to grow your speaking business, sell more products as a coach or both this session has the answers. Powered by Profit aligns with the SmartFem Summit because as speakers we need to first carve out our place in an overcrowded market and then have a plan in place for making money that doesn’t make us dependent on cold calling to ask for bookings. Professional speaking is quickly becoming a qualification for a larger business model versus the sole income stream. Powered by Profit will be transformational because Jen will show participants the exact process for creating a community of loyal fans making the sales process much easier and faster. With a community of true believers supporting your business, you become a highly trusted leader and influencer. 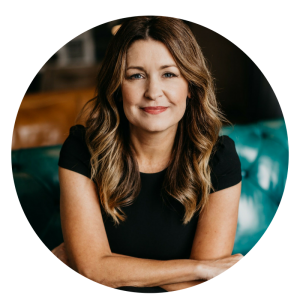 Jen will share her 45-minute process for discovering $10,000 to $50,000 in additional annual profit potential in ANY speaker business, guaranteed. The Ritz-Carlton Amelia Island celebrated International Women’s Day 2019 with women’s empowerment inspiring speaker Jen DeVore Richter. Jen’s program Claim My Stage was regarded with high remarks by participants and meeting organizers. I do not make excuses. I serve more than I take. I get the results & life I deserve. I am a Boss Woman Who Rocks! 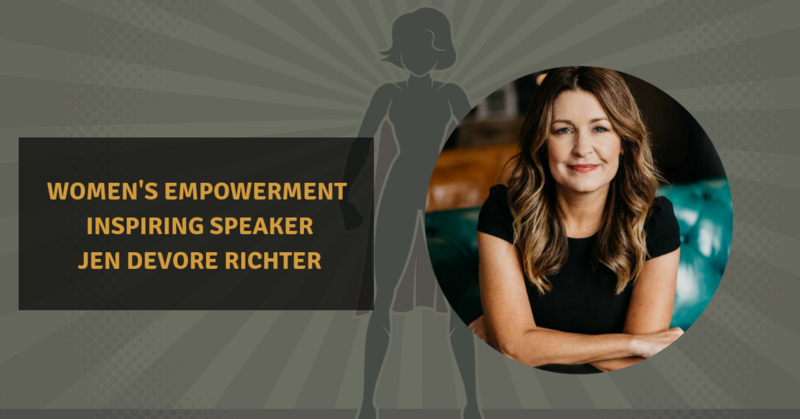 Hire Women’s Empowerment Inspiring Speaker Jen DeVore Richter for your corporate event by calling (904) 382-7255 or using the Contact Form. So you went to a vision board party and you have a general idea of what you’re trying to accomplish. Or maybe you’ve got a general picture in your mind of something that you’re trying to accomplish by you’re still stuck. How do you turn your vision into reality if you have ideas? If you need a step by step action plan for how to make it happen. This article is for you. I’ve used this exact process to transition from a job in corporate America over 15 years ago into entrepreneurship. I’ve used it to create a seven-figure earning business from scratch with my former business partners. I’ve used it to build a six-figure coaching business from scratch, create and launch a membership program, create and launch a group coaching program, a private consulting system, write multiple books, become a paid keynote speaker, and become a sought after media expert. Most importantly, I work from where I want, when I want, with whom I want at the price I decide. So I don’t share this information with you, the list of my accolades to be braggadocious, I share with you because it matters who you get your information from. If you’re trying to take success tips and strategies from someone who hasn’t accomplished what you’re trying to accomplish, then they would be a big waste of time. I’m just trying to make sure that you understand that this is the system that I have used to build a business that I love. So here’s the secret. The big secret is you need to break down your Vision Board into one project at a time. Let’s say that you have this big beautiful vision board that you created at a vision board party and you’ve got a new horizon, a new idea of who you are and who you want to become, but you’re not sure how to actually make it a reality. The secret is you’re going to do one project at a time and you’re going to do a process called success hacking. This is my term for it, success hacking. Now the first step in it is break your vision down into projects and then pick a project and then find a benchmark of someone who is already doing that project successfully. 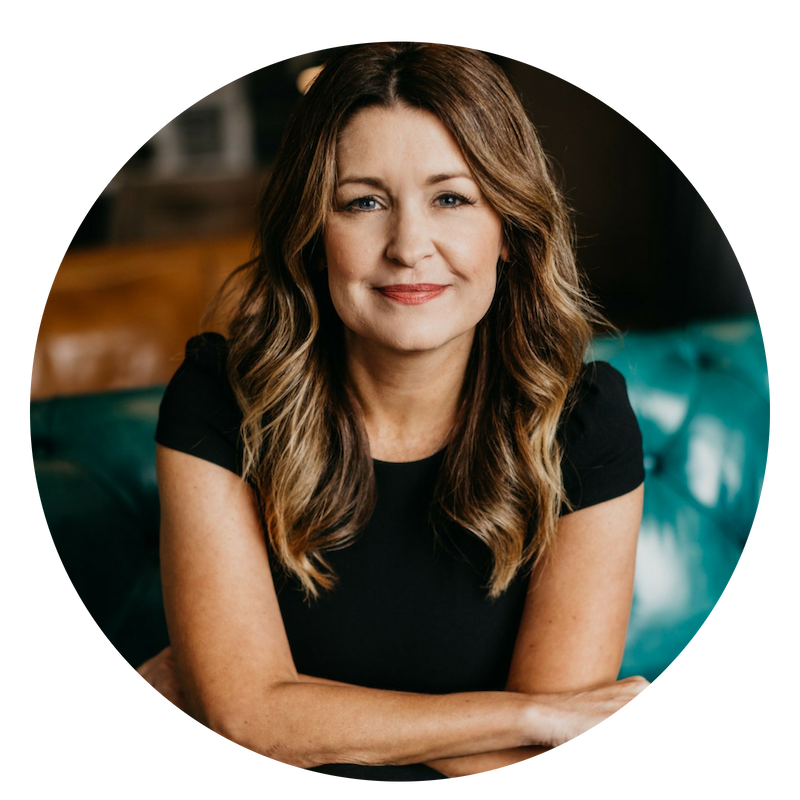 For example, when I decided that I wanted to become a paid keynote speaker, I looked to find a keynote speaker in the women’s business empowerment space to model and her name is Ali Brown. I started looking at how she was positioning herself in the marketplace, what tools she was using, did she have a big fancy website, was she using sales funnels. I started signing up for her lead magnets and her drip campaigns and getting on her email list and following her on social media and just taking note of how she was positioning herself and what tools she was using in order to get her her image and our brand and message out there. Find a benchmark. It’s a lot easier to accomplish things that other people have already accomplished. If you’re trying to recreate the wheel and do something or build something in your business that no other person has ever done before, it’s going to be a much harder road. Don’t try to reinvent the wheel. Okay, so then you’re going to look at how they execute. Another example I have for you is when I wanted to write my latest book, the Boss Women Rock Book. I wanted the book to be part of my sales process and part of my sales funnel because the other books that I had previously written, were great resources and they were great guides for people that maybe couldn’t afford to pay my coaching or consulting fees or join my membership program. Books are an amazing way of getting your ideas “out there,” but they also need to be part of your bigger sales and marketing process. I started to look at who was really doing this well, who was using a book as part of their sales funnel. I found a benchmark. Her name’s Kim Walsh Phillips. She’s in the NO BS Inner Circle Program that I’m also in. I looked at Kim’s book, I ordered her book, I started reading it and not just for content and ideas. She talks about Facebook, which is totally different than what I talk about. 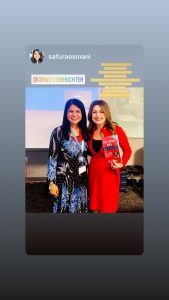 I didn’t look at just the content, but I looked at how the book was laid out and how she was plugging in her sales funnel links and how she was moving people into her Facebook group and how she was using social proof and interviews with her clients as part of her book too to help build her credibility. So that was really important. Those are the first two steps. One: find a benchmark Two: analyze how they execute. The third step is to look at what’s different about you related to your benchmark and how they execute. You could do a SWOT analysis related to this. You could look to see what are their strengths, what are their weaknesses, where’s the opportunity, and how can you become a threat. So that’s how you find your difference or your edge. You want to be able to make sure that you’ve got your market clearly identified, your unique messaging and your position, and in general what media platforms you’re going to use to promote this product because you don’t want to go spend $10,000 on a keynote speaker website or build out a big membership website if there’s no market for it. And if you don’t truly understand what problem it solves. So you have to do that first, do a little mini marketing strategy, like a one page marketing action plan. That will really save you a ton of time and a ton of money. Okay. So now you’ve got your benchmark, you’ve got an example project that you’re going to use as a benchmark to hack their success and you found your unique difference or your edge. You have a general idea of how you’re going to market it. Now you need to create a SMART goal for yourself. And now a SMART goal is different from a regular goal. Now, a non-SMART goal might be, I’m going to launch a book that helps me land clients. That’s too general. It’s not SMART. A SMART goal is specific, it’s measurable, it’s actionable, it’s results oriented and it’s timely. You’re going to create a SMART goal for your book project. 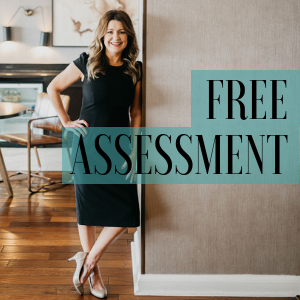 Inside the Boss Women Rock Rockstar Results Academy Facebook Group, I give you a free copy of a 90 day action plan that you can download as a spreadsheet. And you’ll that it’s really simple to use. I don’t subscribe to the time management idea of writing to do lists. That doesn’t really work for me. What works for me is to create an action plan and put the actions into my calendar to make sure that I get those things done when they’re supposed to be done. Now you can do the same thing. It’s really not that complicated when you think about it. Don’t wait until your project or your website is perfect in order to launch it. Get it out there in the marketplace and start getting feedback. Start seeing if it’s really going to help you move your business forward. You can refine it over time. Don’t fall into the perfectionist trap and never really get your projects out into the world. People want to hear what you have to say. Someone right now on this planet is hoping, wishing, and praying for the solution to the problem that only you have. This is really important work that you’re doing. Break your vision down into individual projects. Find a benchmark for each project. Do an analysis to understand their strengths, weaknesses, opportunities, and threats. Create a one-page marketing plan for the project. Do you have a big vision that you want to turn in to a reality? Apply for a complimentary 45-minute Business Breakthrough session with Jen DeVore Richter and unlock your Profit Potential. Searching for a Top Women’s Business Coach? Whether your dream is to build an elite consulting business, grow your practice, or sell more services, Jen DeVore Richter has the blueprint. She calls it the Rising Influencer Profit Process™. This step-by-step system is for ambitious professionals who seek a results-oriented approach to becoming known as the sought-after and respected expert. How to start even if you don’t have a big social media following, email list, or best selling book. STOP WASTING TIME & MONEY. ATTRACT GREAT CLIENTS TO YOU LIKE A MAGNET. Before becoming an entrepreneur, Jen DeVore Richter enjoyed an achievement filled career as a marketing executive working for NASA at Kennedy Space Center, a Fortune 500 Pharma Company, and ABC TV. But, after a life changing health battle she decided to reinvent her life and began a personal and professional mission to inspire and empower business owner’s to reach their full potential. The results of this approach include reduced entrepreneurial burnout, financial magnetism, and being seen as an industry leader – key concepts which can lead to greater income, influence, and impact. 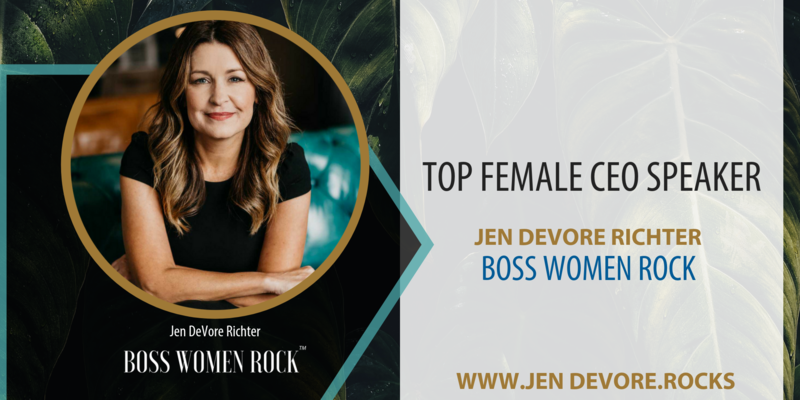 Jen is a multi-published author, professional keynote speaker, Business Breakthrough Specialist, and the Editor in Chief of the Boss Women Rock™ magazine and host of the podcast on iTunes. She is a media contributor frequently appearing on TV, radio, and podcast interviews across the globe. She is well-known for leading a movement for Rising Influencers and “Boss Women Rock” is fast becoming the mantra for women in business. 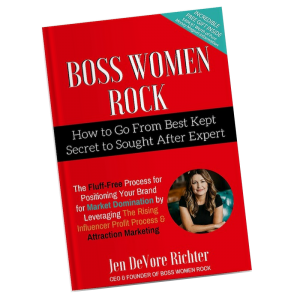 Jen’s fourth book Boss Women Rock: How to Go From Best Kept Secret to Sought After Expert is now available on Amazon.com. If you’re looking for dramatic results and are ready to skip past the fluff to finally build the business of your dreams, get started today. Jen’s unique promise is that she can show you an exact roadmap for how to build a six-figure coaching or consulting business in 45 minutes or less. To experience this unique and powerful 45-minute Business Breakthrough, click the button below to schedule. Looking for an online women’s business coach to help you launch or scale your business to six-figures? 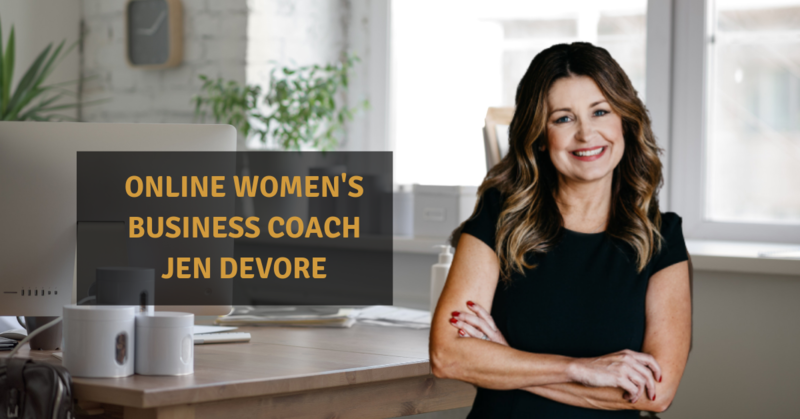 Leading Women’s Business Coach Jen DeVore Richter has been recognized in Six-Figure Coach Magazine for her NO BS and results oriented approach. As an expert with gifts, talents, and a story to share, your business mission and message is dependent on your ability to first transform other’s lives and second drive revenue. Tapping into your unique message and style is important, but without a predictable way of generating new business, your message will go unheard. You owe it to the lives of those you were born to impact to build a thriving and profitable business! Imagine having a business that not only changes lives, but is steady, stable, and income producing in the six-figures! 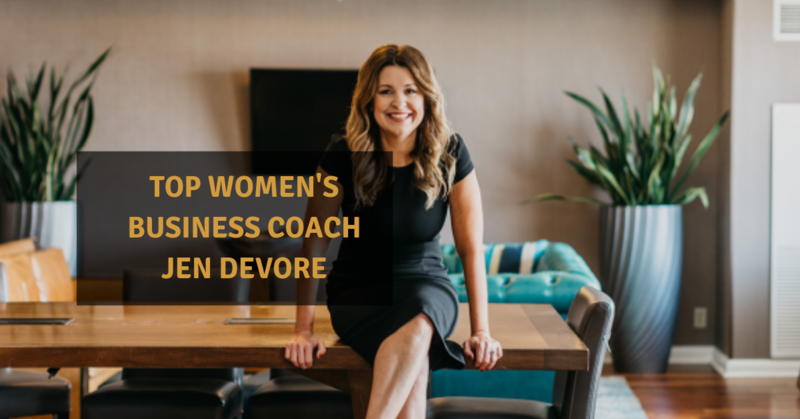 Jen DeVore Richter specializes in helping coaches, consultants, and experts build profitable business so they can serve for years to come without worrying about fall back plans or having to go back to corporate work. If you haven’t heard the name Marie Kondo by now, allow me to introduce you to the hottest celebrity in the home (and life) improvement industry. Marie Kondo is taking over the airwaves with a hit reality show on Netflix and a book called “The Joy of Tidying Up: The Japanese Art of Decluttering and Organizing.” Marie is making waves on social media with legions of fans posting before and after photos of their closets and kitchen drawers using #mykonmari. She’s so hot, Time magazine just named her one of the Top 100 Influential People! 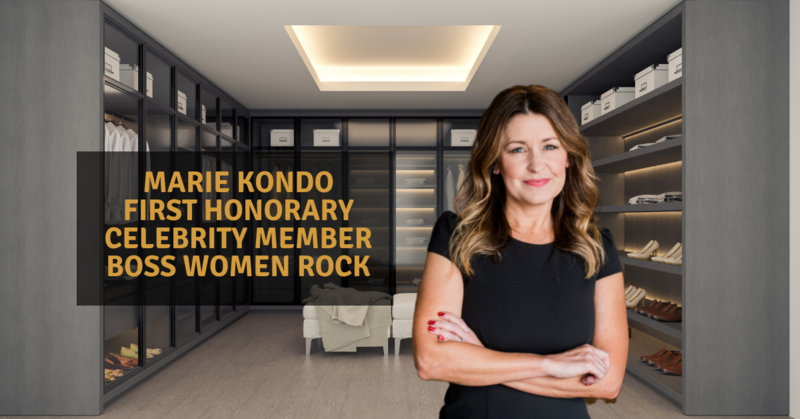 This post is my public declaration of making Marie Kondo the first honorary member of Boss Women Rock because she has seemingly gone from “Best-Kept Secret to Sought-After Expert” all while spreading light and joy around the world and making her mark on every soul who discovers her. Her entire brand is built around solving a problem: clutter and disorganization in the home leads to a messy life. She is teaching a transformational process to take her fans from having the life sucked out of them from having an overabundance of things in their spaces to feeling joyful and appreciative of every single object they keep. She has a branded process around this transformational experience called The Konmari Method which is an easy to follow 5 step process for discarding, categorizing, keeping, and organizing your belongings “in one go.” https://konmari.com/pages/about This branded process ensures others can replicate her method and get similar results. She is leveraging the power of “real media” including appearances on 50 major Japanese television and radio programs as well as in Time Magazine, The New York Times, The Wall Street Journal, The London Times, Vogue Magazine, the Ellen Show, the Rachael Ray Show and many more. Her personal brand is consistent and impeccable in color, visual style, personality, and social media use. Even her clothes are a reflection of her brand with mostly white tops and patterned skirts in a modern, non-fussy style being her signature look. So, what can you learn from Marie Kondo to build your business and brand? That you need to have a branded process to how you provide an outcome and transformation in other’s lives. That empires are built by scaling your business in a trainable format that others can implement. That personal branding is key and deserves your time, attention, and investment of resources. Want the inside secrets on how to go from Best-Kept Secret to Sought-After Expert? They’re all inside my latest book. I’m going to declare it to the world: Santa is the world’s best salesperson. Think about it, Santa has represented every product and service known to man since 1840. Soda? Check. Toys? Check. Cars? Check. Literally, everything he touches turns to gold… the man is unstoppable! 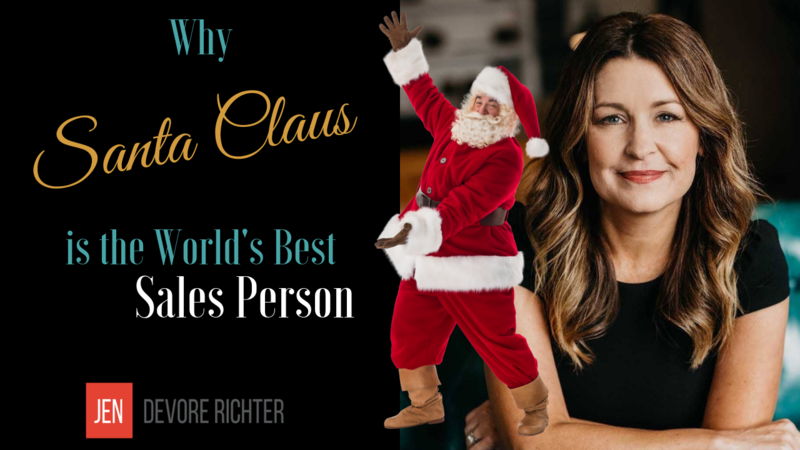 I break down how Santa does it in this video and give you the Top 3 Key Things he does for the companies he represents so you can ethically steal his strategies for your business. Watch the video to learn Santa’s Secrets!